HOW DID SCOTTS GET HERE? At the turn of the 20th century, James Scott, upon returning home to Thrapston after the Canadian Gold Rush, founded the now renowned Scotts of Thrapston. He seized upon the experience of skilled cabinet makers in support of the war effort from 1914 -1918. Employing several members of staff, the business was set up in 1920 to manufacture a wide range of timber products. The main thrust of the timber buildings business came in the late 1930s, a time when the company’s skilled craftsmen were again in demand for the war effort. At this time, the company started designing timber summerhouses for the British gentry, some of which are still around today. It was also in this period that James’ son, Douglas, joined the business, an enthusiastic person who began to grow the company. Douglas was ambitious and determined, continuing to grow the business during his tenure. Douglas was responsible for creating the purpose built factory that is still the hub of the business today. The third generation of the Scotts family, David Scott (the current Chairman), joined the business a year before the death of James, in 1962. David drove the development of new products for the equestrian, housebuilding and education sectors. And, as a great advocate of marketing, David introduced this vital business element and has kept the family principle of the company alive. David’s passion for the business further helped drive the expansion of Scotts summerhouses, forming relationships with the likes of the National Trust and the Royal Horticultural Society. James Scott, the fourth generation, joined the business in 2000 and is the current Managing Director. James is keen to build on the reputation of Scotts to ensure it is a household name, growing bigger every day. With the continued introduction of new products, processes and machinery, along with the focus on customer service, David and James are looking forward to the company’s centenary celebration in 2020. Welcome to the Scotts of Thrapston Blog. This blog has been written over a number of years and is divided into four distinct areas. Scotts has an enviable reputation within the gardening market and has supplied Summerhouses and Garden Buildings to end consumers and the garden trade for many years. The Summerhouse blog has many articles set to inspire and offer you advice. With over 50 years expertise in designing, manufacturing and installing Timber Stables, Scotts is well positioned to offer assistance. This element of the Scotts blog looks to educate horse owners on the importance of quality stabling. Scotts Timber Classrooms, Pavilions and Community Buildings are architecturally designed to provide the ideal environment to motivate and inspire. The Education, Sport & Community Buildings blog illustrates how schools, sports clubs and local authorities have benefitted from additional space. 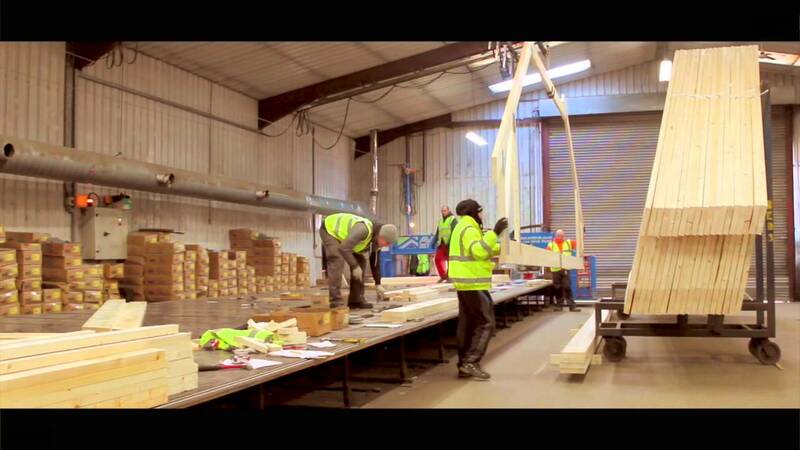 Scotts has a rich heritage in supplying bespoke joinery, roof trusses and specialist timber products to housebuilders and the self-build and renovation market. The Joinery and Timber Engineering blog is aimed at sharing company and market information to assist with new build projects. Take a look at our new film of a recent Education Building installation in Lavenham. A fantastic range of ex-display summerhouses are now available for sale. Get in touch to find out more. We have a number of exciting new job vacancies, based at Thrapston. Further details on our vacancies web page.